New study highlights billions of dollars saved through rooftop solar installations, as ACCC defends manipulation of markets by major generators as “rational behaviour”, says nothing can be done about “gold plating” of networks, and argues against measures to encourage more renewables. A major new study has underlined the crucial role played by rooftop solar in moderating energy prices: without it, the study says, the aggregate cost of electricity would have been several billion dollars higher over the past year. The study by Energy Synapse, commissioned by the community lobby group Solar Citizens, reinforces previous estimates of the broad benefits of the more than 6GW of rooftop solar installed on more than 1.7 million household and business rooftops. That capacity is ,often demonised by vested interests as “free-loading” on the network and other consumers, but the study proves otherwise. It notes that in NSW alone the savings from rooftop solar – by reducing demand at crucial times and challenging the dominance of the big generators in the wholesale market – were between $2.3 billion and $3.3 billion in the 12 months to April, 2017. 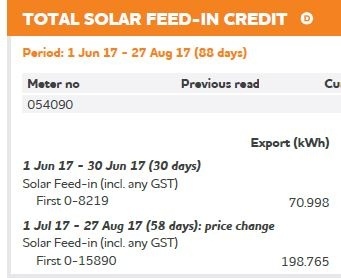 That’s how much the wholesale price is lowered from what they would have been if rooftop solar was not present in the market. Even though rooftop solar only provides 2 per cent of total generation, the study found it clipped prices by $29-44/MWh – up to 50 per cent higher than the actual price. That stands to reason. Major generators have long complained about how solar is “clipping their margins”, and networks have also underscored the other major finding of the Energy Synapse study by pointing out that rooftop solar is narrowing and lowering the periods of peak demand. Mark Byrne, from the Total Environment Centre, points that if the estimates are right, then the benefits to all energy consumers each year are twice the cost of the up-front support for rooftop solar, in the form of rebates and the STC market. “That means all consumers got a return of at least double their investment in a single year – and the beauty of solar is that it should keep delivering benefits for an average of 20 years,” Byrne says. It is also important in the context of Australia’s energy debate. The Coalition government appears poised to release a new policy designed to inhibit the roll out of at least large scale renewables, despite even the Australian Competition and Consumer Commission finding that more competition would likely cut prices. The ACCC report was a perfectly times riposte to the Coalition and conservative argument that renewables are forcing up prices. “The consumer watchdog has belled the cat. Power prices are going through the roof because big companies are gaming the system, not because of renewable energy targets,” said The Greens energy spokesman Adam Bandt. Its major findings – that the absurd cost of electricity paid for by consumers is the result mostly of the “gold plating” of the network, followed by soaring wholesale prices and retail costs – is not new. Environmental schemes account for just 7 per cent of the total bills (see bill above). ACCC chairman Rod Sims says the high costs – they have risen by 63 per cent more than the cost of inflation over the last decade – is because customers are effectively getting screwed by the networks and the generators and retailers. But then, extraordinarily, he says nothing can be done. He defends the actions of the big generators as “rational, profit maximising behaviour” that is “consistent with the National Electricity Rules (NER)”. Of the network costs (which account for half household bills and largely explain the difference between Australia and other countries) Sims says these are “locked in”, refusing to countenance the argument that may be the network should take a write-down on the value of what he admits are their over-inflated asset bases. In fact, the only measure that ACCC appears to recommend is for the government NOT to introduce a Clean Energy Target, despite the pleas of the Finkel Review and everyone apart from people associated with the Coalition, the Minerals Council of Australia and the Institute of Public Affairs. The ACCC report itself recognises that increased competition from renewables is one of the principal ways to help reduce prices and challenge the incumbents. But Sims argues against this, saying that the costs of such initiatives are “smeared” across the consumer base. This has been the argument of the incumbents for the best part of the decade, and it is truly shocking and disturbing, but not unexpected, that Australia’s main pricing regulator should repeat them. Like so many other regulatory assessments, it ignores the considerable benefits of renewables, and rooftop solar in particular, and the fact that these considerable benefits are also “smeared” across the consumer base. Energy Synapse’s analysis shows that rooftop solar mitigates prices because of the “merit order effect” – by creating electricity at zero marginal cost, it moves the “bidding stack” to the left and lowers prices. Anyone doubting the ability of small amounts of demand can influence prices need only look at the Australian Energy Regulator reports which highlights how the big generators game the FCAS markets, pushing “availability” down just one MW below requirements so only high prices capacity comes into the market. The most significant impact is felt in summer (see graph above), when the generators are at their most rampant, pushing up prices in the face of soaring demand in the summer heat as air-conditioners are switched on and gas and coal fired capacity is withdrawn or fails due to heat stress. But small scale solar is also saving money on most days. This graph below illustrates an average day in NSW. “It is worth noting that small solar was able to continue to put significant downward pressure on prices in the late afternoon around 4pm, even though the output of these systems was only at about 40% of max generation,” the report says. “The other interesting point is that our lower estimate for the 6pm Trading Interval shows an average price reduction of -$12/MWh, meaning that small solar could have produced a higher price (and hence increased cost) in this interval. Byrne points out that even if the Energy Synapse estimate is out by a factor of two, it still represents an extraordinarily good return for the rooftop solar support scheme. One other graph from the ACCC that is worth noting is the average spot price on state-based wholesale electricity markets over the past decade. As has often been said, but rarely recognised, South Australia’s high wholesale prices are historical, and pre-date the state’s big push into renewables. In 2007, the state’s electricity prices were nearly double that of other states – and that’s before it had any significant wind power. That renewable capacity actually helped moderate prices, and they have only jumped in the last two years – as in other states – when the big generators exercised their unfettered market power, or as Sims prefers to describe it – acted in an economically “rational” manner. Hear this week’s Energy Insiders podcast – on Australia’s peak stupidity and China’s peak emissions. Solar electric cars are the future – and "that future is now"
I heard Rod Sims on the wireless this morning, arguing that (for SA at least) greater competition is needed to lower energy prices. Given that there are at least 12 private companies vying for a slice of the pie in generation, distribution and retailing, where once there was one, I was gobsmacked by this assertion. He also implied that the closure of Northern was, at least in part, responsible for the recent jump in prices. No regard whatsoever for either the health of Port Augusta’s residents, the other externalised costs of coal fired generation and the subsidies to coal production It seems to me that his approach to energy policy is that of a narrow and rusted on econometrician. And the renewable industry will grow regardless of ACCC, major generators or the NLP. Because most consumers with the ability are fed up being screwed and will go “off grid” at the first viable opportunity. As a confused end user it would appear that the only option I have to make any difference to my energy bill is to install a PV system. On the wholesale side we see that the big produces have a stranglehold on the market and are using it to their advantage. The amount of “other” energy sources available now and being built is still only a small percentage of the overall market, any downward pressure on wholesale prices will take years to have any effect. The retail market is dominated by a few large suppliers, and the rules are skewed against any real competition. We see in the opinion of the ACCC that prices will not come down in the near future. I would hazard a guess that the reality of the political climate in Australia means that they are probably right. Yes Bruce. The energy incumbents have two maxims, confusion is profit, and market power is absolute. Don’t expect the incumbents, the regulators or the policy makers to do anything to help. But you can safe in knowledge that having your own solar helps both you and others. The big thing is that gas is hovering around $5-$6/GJ in the last few weeks, as opposed to $9-$10/GJ a few months ago, and gas turbines are generally the marginal producers that set the price. It takes about 6.5GJ/MWh in a CCGT and about 10GJ/MWh in an OCGT. I’m sure Malcolm Turnbull will take credit for this because he wagged his fingers at the gas exporters, but I think that, as you said, it is seasonal. The difference between trough demand and peak demand in all states is quite low at the moment – not much gas is being burned to fill the variations in demand that “baseload” can’t accommodate, hence the artificial shortage of gas (because we’ve promised it all overseas) isn’t so apparent at just this moment. When we start getting Victorian troughs of 4GW and peaks of 8-9GW, let’s see what happens to the prices. Especially if it’s not windy. It really doesn’t matter what the big end of town says, rooftop solar will continue to be installed. It will continue reduce costs for the users and demand for grid based power and therefore prices as you have demonstrated. Equally, small utility scale plants built at $1/watt have a breakeven including operation and maintenance at around $55/MWhr. Tracking solar at $1.50/Watt has about the same power cost but because they generate more power in the afternoon their power is more valuable. It is virtually impossible to stop IKEA, Sun Metals etc building these plants. If they are facing contract prices of $95/MWhr, the ROI fully equity funded is 15%. If they borrow 70% of the money at 6% the ROI on shareholders equity after amortization and interest is 24% assuming power prices don’t rise any more. Perhaps even lower than $6-12, because good quality PV modules could last 25-35yrs. Rod Sim’s assertion is correct that the generators ‘acted in an economically “rational” manner.’. The problem is that regulation has been so lax as to allow it in such an extreme. Any and every company wants to maximise its profits to the limits of legality, therefore it should come as no surprise that they are. The surprising part is that ‘strong glares’ from Malcolm Turnbull has been the biggest reaction to this lack of adequate regulation given that the Liberal Party continue to say they are committed to lowering power prices – the ol’ removal of the carbon tax was arguably what got Mad Tony elected in the first place. When earnings fall, prices can go up to cover the shortfall. It has been a boon for owners, whether they are private investors or state governments, and it has encouraged state governments to embark on massive, unnecessary spending programs to boost the regulatory value of their networks. “That was one part of the argument, but the bigger part of the argument was it was essentially a short way to raise income for the states,” Bruce Mountain, director of CME Australia, says. The international comparisons are staggering. The total value of the entire electricity network in the US, a country of 320 million people, is $US100 billion, while the value of Australia’s network is not far short — $100 billion or $US75 billion. My first thought on reading this is that it represents a class war on the consumer, and that Rod Sims and the Liberal Party signed their enlistment papers on the side of the fossil fuel industry and the large producers years ago — and agreed to hide it as well as they could, for as long as they could, to keep as many people going against their own interests for as long as possible. When the cost of solar falls below the cost of transmission, that’s when the gold plated networks will become stranded assets. By 2030, Australia will produce 100% of its energy from solar and other renewable energy resources. Exactly right Steve. We went from multiple mainframes (centralised) in the 1970’s to Ethernet Lans in less than 20 years (de-centralised) then onwards to client/server and beyond. So as more people get batteries, then micro-grids can get going (happening already), and managed by software via the Internet. Similar evolution as information technology. Hence, no need for gold plated centralised networks in the very near future. We are currently being screwed by the operators of these gold plated networks, who are very aware that their networks’ days are numbered, and are squeezing every last bit of profit from them. I am not convinced this will ever happen. For Sydney in June 2017 (30days) – Very Cloudy for the whole month. 8 panels generated 70.9 kwh, were we used average 60 kwh per day. So even if we half our usage, we need 12 times the number of panels ie 96 panels. Then you need batteries to store the power for night. Would someone estimate the cost of this system? Batteries are the key Joe. The fossil fuellers need to keep the coal fired generators running all night , i.e.baseload. So in the past, your low tariff hot water service heated overnight and that gave them a reason to stay running. Now, you heat your water during the day and replenish your batteries which then provide the peak load late in the day, and night running. So your solar feed in becomes secondary to charging your battery which in turn lessens your reliance on the network. Unfortunately, 48% of your electricity bill goes to network charges. My view is if you do not use the network, why should you be charged every day? You should only be charged for the time you use the network. So if you use it at the end of the day, or for AC on a hot day, then pay for the time used. If not no charge. That is what batteries will bring to the deal, in my view. Thank you but you did not even remotely answer my question. Joe while you had very cloudy days in Sydney for 30days, west of the divide was sunny, as was Qld. That surely is the lesson of geographical diversification. So there is no justification of your having 12x the number of panels you need, tho’ the economically optimal capacity may be more than you have now: you will have to do the sums. But the market eventually change to suit the needs of customers, with the network being a tollroad charging customers to export and import as their needs and supply availability changes, rather than as it is now – a form of hidden taxation. wow there are so many holes in those statements. So your advocating having major solar farms in other areas to back fill when major cities cannot sustain them selves. Massive grid upgrades to handle the GW’s of power shift needed between farms to cities esp if crossing states – forget what SA does it would fit into Sydney 4 times. States still fighting over power when then are not self sufficient. Also what happens when its sunny every where? How do you bleed of the excess power if you cannot store it all? Most important, who gets paid and who does’nt to supply ie you are generating power but its not needed – need major laws here to stop collusion and price fixing like the fuel industry – unless you have one supplier! I cannot see this ever being a win from the cost point of view, in fact its worst as the control ability is even more unpredictable. Joe, it’s called a market, like other markets. I eat oranges from California, wine from France, jam from Tasmania. All bigger lumps than electrons. I don’t build my own car, I buy from someone else. Most days electricity generated in Central Qld keeps Sydney powered up. Distributed energy actually means less long distance transmission. The grid capacity is mostly there, underutilised. When there is excess generation, the price will drop, and enterprising people will find ways to use or store it – pumped hydro is one low cost option. A system of wind+solar+pumped hydro is significantly cheaper than coal+gas, with very low emissions, greater reliability, greater stability. If you remove more that 3GW of reliable supply out of the network it must have an effect on the spot price if you try to replace it with something intermittent. IMO opinion it is a combination of both; remove supply and energy companies ceasing the opportunity to “game the market”. Only if the market isn’t oversupplied. If you look at AEMO reports, the market is still oversupplied for the next several years, with the shortages appearing as peak period unmet demand if a large thermal unit falls over. The contingency event is actually getting smaller as more smaller generators come on line. I’m not sure what “3GW of reliable supply” you refer to – certainly most of the lignite and NSW black coal plant are not in that category. Giles, well done and thank you for pointing out this cost-reducing effect that rooftop solar has had on the market. The reverse of the situation is the cost raising effect that air-conditioning has had on electricity prices. Before the solar revolution was the massive uptake of air-conditioning and this was the original reason for the growth in electricity consumption and the call for huge network investment . The encumbents saw this windfall in consumerism and anticipated further demand increases but did not consider rooftop solar. You’d wonder if there are other factors reducing electricity demand, such as house insulation, uptake of solar thermal and heat pump for hot water heating, the demise of manufacturing in Australia etc etc. The difference between a reasonable cost of electricity and the actual cost (about $1000 a year) is the incentive every consumer has to install roof top solar and battery storage. If electricity was 1/3 the price – similar to prices in the USA – not many would have bothered to install solar. I hadn’t thought about the change from power hungry PCs with whirring fans to lower-consumption devices. Even my ‘desktop PC’ at work is a small Surface laptop that sips power. People aren’t installing pools in the way that they used to either. It will take a surge in EVs to see domestic consumption rise again. Great article but the ACCC is in fantasy land. Installing 1kW of Solar per person in a household has a good return but most households need around 2kW per person to fully offset their power use and this requires battery storage which greatly lengthens the payback period. You can shorten the payback period by eliminating daily connection fees to the grid but this requires much more storage for cloudy periods and so the capital cost keeps rising. Many households can’t afford it. Grid disconnection isolates that valuable storage and makes the whole system less efficient and more expensive. Without better incentives for people to install storage and stay connected then things are going to get very messy with bad outcomes for people who don’t own a roof. No doubt you will be very busy today after the so called policy decision. I have been with a group working for bipartisan climate action. What does the decision mean? There wouldnt be many folks who will understand it as well as you and David. My opinion is that they have nailed in uncertainty and confusion. They will use what is effectively the opposite of good government to prolong fossils. Bipartisan is a word that scares hell out of both sides as they refuse it because…..”that other mob just wont budge from their ideology”….so on it goes. Monopolies always act in an economically “rational” manner but that’s missing the point about monopolies, isn’t it?